Alongside heavy haulage, we also operate well equipped workshops at both Bridgend and Carmarthen . Not only can we refurbish and repair our own vehicles and trailers, we can offer the same service to our customers. 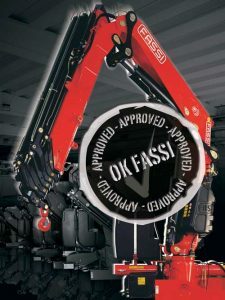 We are pleased to offer all customers our Fassi crane and service centre. Smiths are now an approved WABCO brake service centre and are able to offer a range of service, repair and parts for lorries.